Mt. 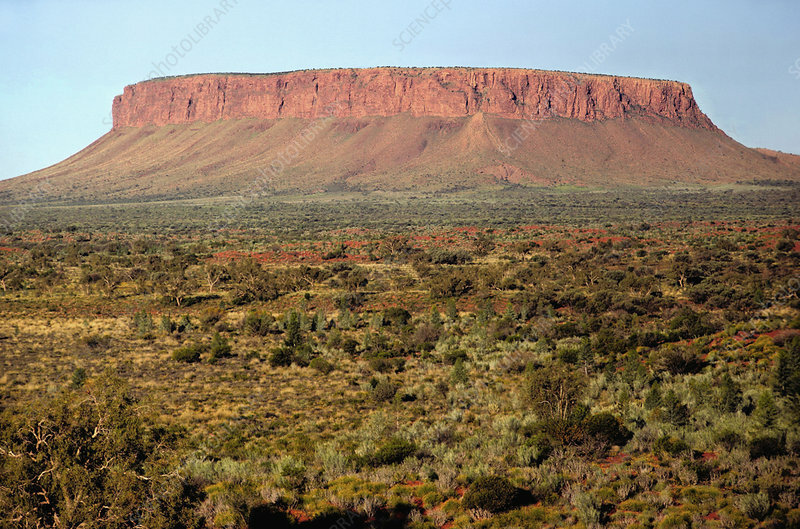 Connor, a mesa or tabular inselberg in the Central Australian desert with a hard sandstone cap and plateau on top. The plants in the foreground are Mulga bushes (Acacia), Spinifex, and Desert Poplars.